You are here: Home / Blog / Allergies / Got Milk? Do You Need It? The American Dairy Association want us to think we will die early, or fall and break something, without a daily glass of milk. Yet there are entire countries of people who never consume dairy products, and they thrive with plenty of calcium in their diets. They even have Olympic teams! Did you know that over 2/3 of the world’s population has some degree of lactose intolerance? For these people, their body lacks an enzyme called lactase and cannot digest milk well, causing bloating, flatulence, diarrhea and other symptoms. This gastrointestinal issue can be easily cured by simply not consuming milk. Are you suffering with these symptoms? Just choose to stop. 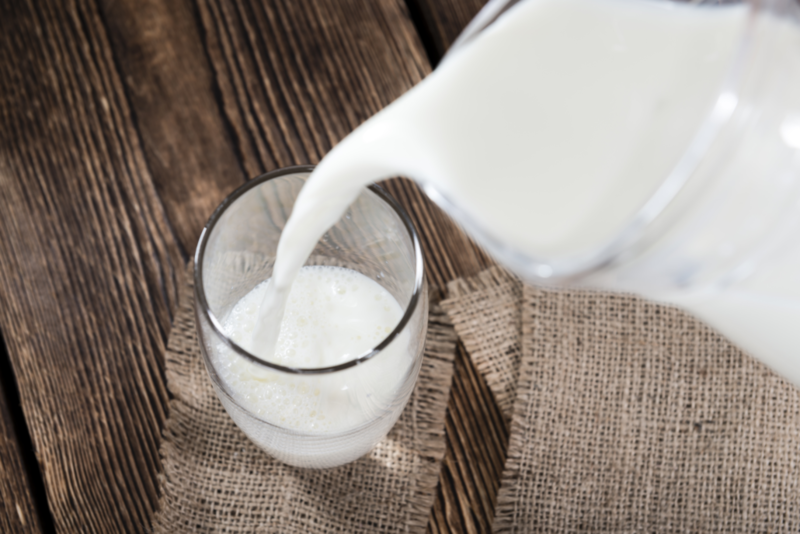 Beyond lactose intolerance, dairy is one of the top three food sensitivities in the U.S. Common symptoms of a dairy sensitivity are post-nasal drip, chronic congestion, headaches, achy joints or muscles, skin inflammation like eczema, and/or low energy. Dairy sensitivity is an immune system issue where your body has decided that dairy foods are a foreign invader and develops antibodies against them. If you have these symptoms, you can test their root cause by completely eliminating ALL dairy foods for 2 full weeks and take careful note of how you feel. Many people don’t even like milk but force themselves to drink it for bone health. Would you be shocked to know that high calcium intake doesn’t help bones long-term? Flexible bones are made of a matrix of protein. We typically become vulnerable to fractures as we age because we don’t digest protein well or our hormone levels plummet. Without sufficient protein, dense bones can still be brittle. Strong bones need a rich mix of many minerals, and Vitamin K2 is particularly critical to ensure the calcium you consume actually makes it into your bones. Yes, we do need calcium. Beyond dairy, calcium is also prevalent in dark green leafy vegetables, almonds, and sesame seeds or tahini. Not keen on dark green veggies? If you lean toward taking calcium supplements, I caution you not to think more is better. Many studies have demonstrated that supplemental calcium of 1000mg or more per day can lead to higher risk of heart attack and kidney stones. It’s important to ensure that the calcium is getting into your cells rather than floating around and calcifying glands or arteries. I would recommend that you use food as your primary source. How will you ensure that you get enough calcium to support your body’s needs? I hope that what I have shared equips you to be savvy about how you can supply calcium by choosing your foods purposefully. That definitely does a body good!